← Pali Grimsbys Mike Blacknell set to run the London Marathon for charity! 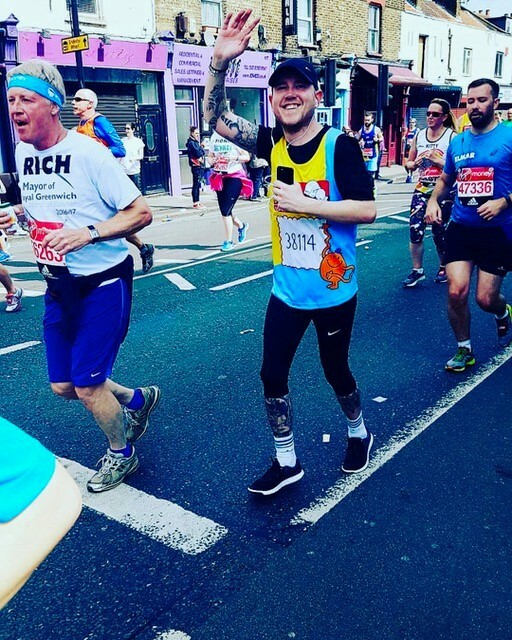 Congratulations Mike on Completing the London Marathon! Pali would like to wish massive congratulations to Mike Blacknell on completing the London Marathon. Mike managed to complete the gruelling challenge in 5 hours and 30 minutes. With around 8 miles to the finishing line Mike began to struggle but he pushed through to the end. 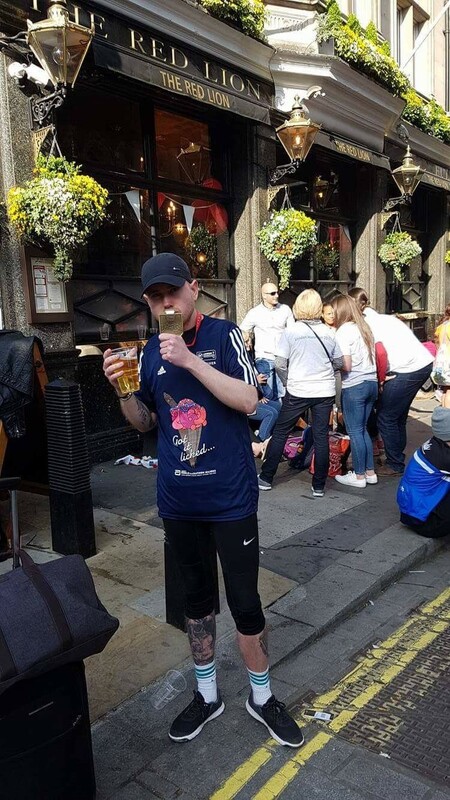 Once Mike had finished he treated himself to a very well deserved pint. So far, the Just Giving page that Mike set up to help fundraise for Children with Cancer UK has raised almost £1000. If you would like to donate you still have time, just visit Mike’s Just Giving page here. This entry was posted in blog and tagged Charity, London Marathon, Pali Grimsby. Bookmark the permalink.